The ATI Avior autopilot is an advanced design built around high performance, high quality, state of the art components and sensors. The CPU is a 600 Mhz OMAP 3503, offering 256 Mb of Flash and 256Mb of RAM. 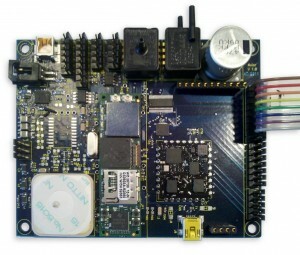 The core sensors include a Vectornav VN100T IMU and the Ublox Neo 6 GPS. The firmware is built around an advanced 15-state kalman filter that blends the inertial and gps sensor data to accurately estimate roll, pitch, and true yaw angles. The ATI Avior offers unprecedented performance, accuracy, and capabilities in a small package and at a competitive price. Radio modem: direct plug-in support for Digi 900 Mz XTend modem — serial or IP connection provided for external modemand hardware. Autonomous flight mode; Command Augmentation flight mode; Manual flight mode. Potential to leverage this internal math to drive more sophisticated stepper motor based pan/tilt mechanisms.